Episode B39, “Excidium,” finishes off the third story arc of The Ancient World Bloodline.We’ve come a pretty long way from the days of Cleopatra Selene and Juba II – in fact we’ve come about ten generations - and now there’s only a little ways left to go.The upcoming final story arc will focus on Palmyra, Emesa and the Sasanids, while out West the Romans’ll be tearing through Emperors like used paper towels. Synopsis:Alexander marches East to counter Ardeshir’s invasion, but the conflict ends in a stalemate.A short time later, a legionary rebellion along the Rhine brings the Severan regime to a bloody end. Synopsis:Overseen by his mother and grandmother, Severus Alexander’s early reign was marked by wisdom and temperance.A decade later, a Sasanid invasion would test both Rome and its emperor. 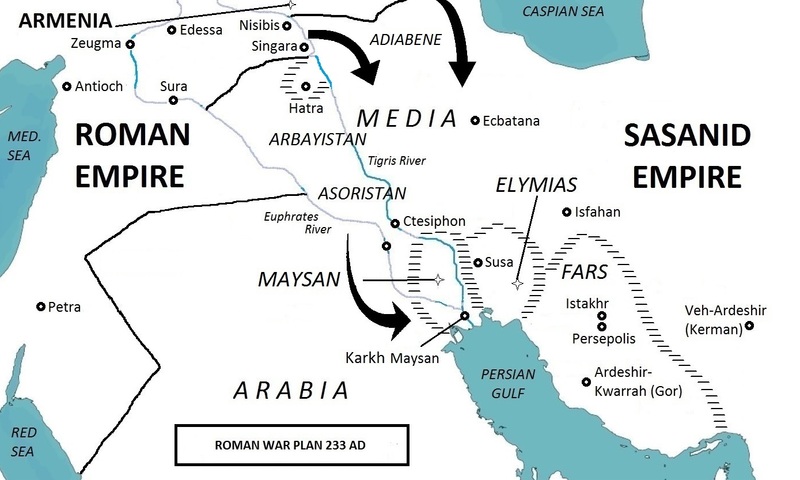 Synopsis:Ardeshir defeats Artabanus in battle and claims the Parthian Empire for the Sasanids.After a failed attempt to conquer Armenia, he sets his sights on the Roman East. 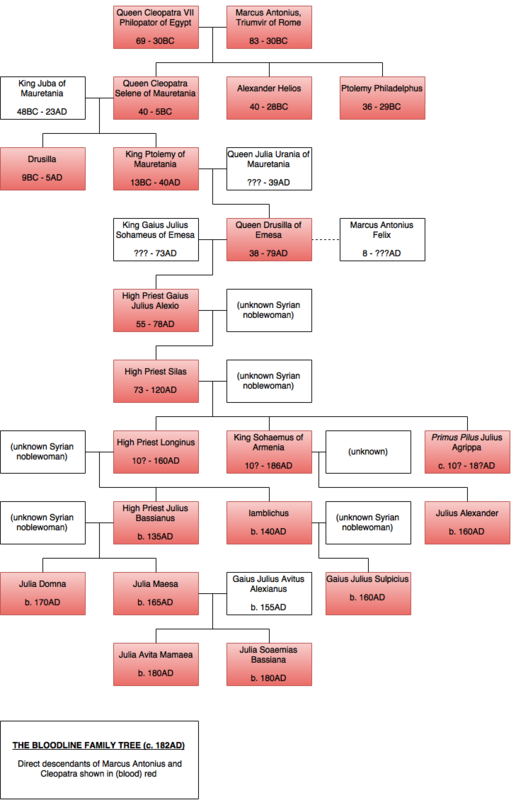 Synopsis:King Artabanus of Parthia gathers his forces to seek revenge on Rome.Usurpation and war gain the Sasanids control over the southern territory of Fars. Synopsis:Caracalla cuts a murderous path through Rome, and provokes a dangerous war with Parthia.After his murder, Julia Domna is forced to contend with a would-be usurper. Synopsis:Severus’ close friendship with Plautianus estranges him from his family.In his final years, a rebellion in Britannia provides one last opportunity to shape his legacy. I wanted to let everyone know that the latest Episode, “Perish in Blood”, will be the last one for a month or two.I’ll be off on Vacation for a while, and generally taking a break.In the meantime, I hope you’re all enjoying the Severan story arc.Like I mentioned early on, the extended family of Julia Domna was the original inspiration of the series, and I’m hoping to flesh out all the family members as much as I can.At the same time, I’m planning to give a lot of attention to the Sasanids, including their history and background, their conflict with the Parthians, and - eventually - their conflict with Julia Domna’s great-nephew, Severus Alexander.So, look for all that when I pick the story back up in a month or two. Synopsis:Severus confronts Albinus at Lugdunum, then launches a war against the Parthians.At the pinnacle of his power, the oracle of Zeus Belos reveals his family’s fate. Synopsis:Severus defeats Niger and wages a limited Eastern campaign.While Julia Domna is hailed as Mother of the Camps, Caracalla’s elevation to Caesar prompts a second civil war. Synopsis:After Pertinax and his successor are killed in the same year, Severus’s claim to the Empire is contested by two rivals. Synopsis:Julia Domna marries Septimius Severus and gives birth to Caracalla and Geta.Left behind in Rome with her young children, Julia watches as Commodus re-founds the Empire in his own image. Synopsis:Julia Domna was daughter of the Emesene High Priest, destined to marry a king.Then she met Septimius Severus. Synopsis:The revolt of Avidius Cassius. Synopsis:The overthrow of King Gaius Julius Sohaemus of Armenia leads to war between Parthia and Rome.